[Milosch] wrote in to tell us that he has recently released a bootable RFID live hacking system – something he has been diligently working on for quite some time. The live distro can be used for breaking and analyzing MIFARE RFID cards, as well as a reasonable selection of other well-known card formats. The release is based off the Fedora 15 live desktop system, and includes a long list of RFID hacking tools, as well as some applications that allow for NFC tag emulation. His toolkit also contains a baudline-based LF RFID sniffer package, allowing for a real-time waveform display of low frequency RFID tags. The LF sniffer makes use of a cheap USB sound card, as well as a relatively simple reader constructed from a handful of easy to find components. We have seen some of [Milosch’s] handiwork before, so we are fairly confident that his toolkit contains just about everything you need to start sniffing and hacking RFID tags. If you’re interested in grabbing a copy of the ISO, just be aware that the live CD is only compatible with 64-bit systems, so older laptops need not apply. [Benjamin Blundell] built an RFID reader for the iPhone. 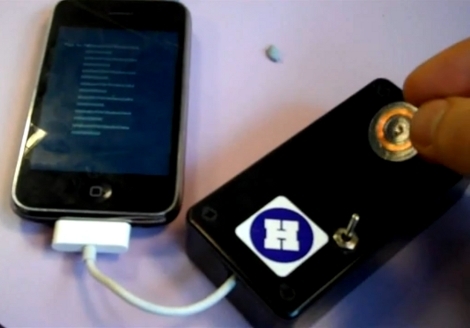 A jailbroken iPhone connects to this project box by patching into a standard iPhone USB cable. Like in past iPhone serial projects, [Benjamin] is using openFrameworks for the software interface. 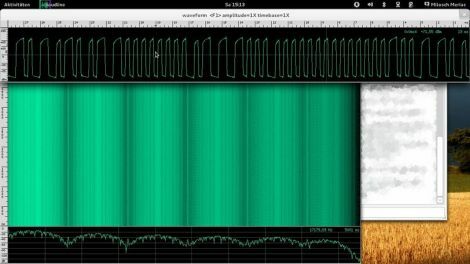 Right now this reader only detects low-frequency tags but he’s working on the code to read MIFARE tags as well. See the magic of a tag ID displayed on the screen in the video after the break. When we first saw [Chris Paget]’s cloning video, our reaction was pretty ‘meh’. We’d seen RFID cloning before and the Mifare crack was probably the last time RFID was actually interesting. His ShmooCon presentation, embedded above, caught us completely off-guard. It’s very informative; we highly recommend it. The hardest part about selling this talk is that it has to use two overloaded words: ‘RFID’ and ‘passport’. The Passport Card, which is part the the Western Hemisphere Travel Initiative (WHTI), is not like the passport book that you’re familiar with. 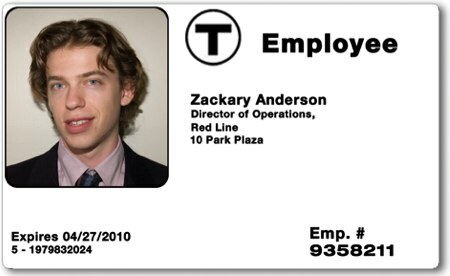 It has the form factor of a driver’s license and can only be used for land and sea travel between the USA, Canada, the Caribbean region, Bermuda, and Mexico. They’ve only started issuing them this year. [Karsten Nohl] has recently joined the team on Flylogic’s blog. You may remember him as part of the team that reverse engineered the crypto in MiFare RFID chips. In his first post, he starts out with the basics of identifying logic cells. By studying the specific layout of the transistors you can reproduce the actual logic functions of the chip. The end of post holds a challenge for next week (pictured above). It has 34 transistors, 3 inputs, 2 outputs, and time variant behavior. Also, check out the Silicon Zoo which catalogs individual logic cells for identification.